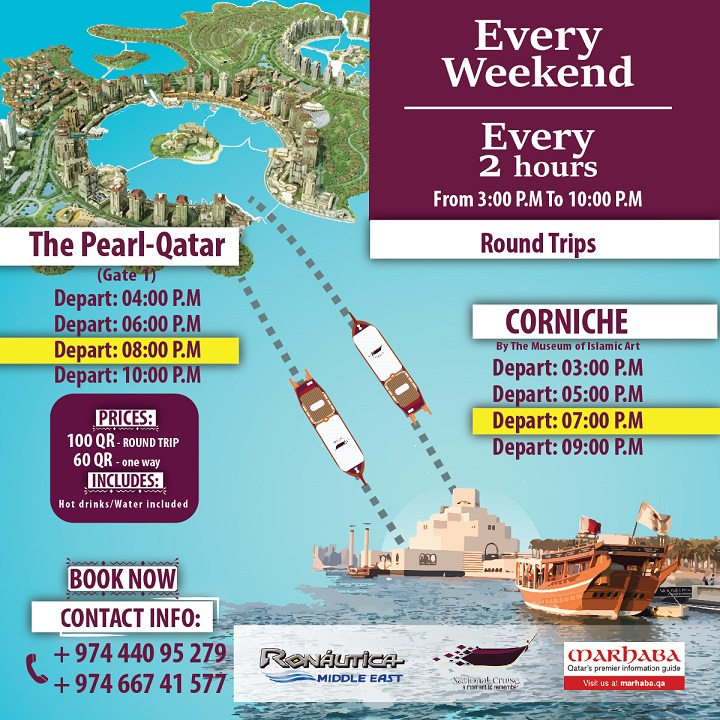 Ronautica Middle East, in association with National Cruise, are offering the very best traditional dhow experiences in Doha from Porto Arabia at the Pearl – Qatar. 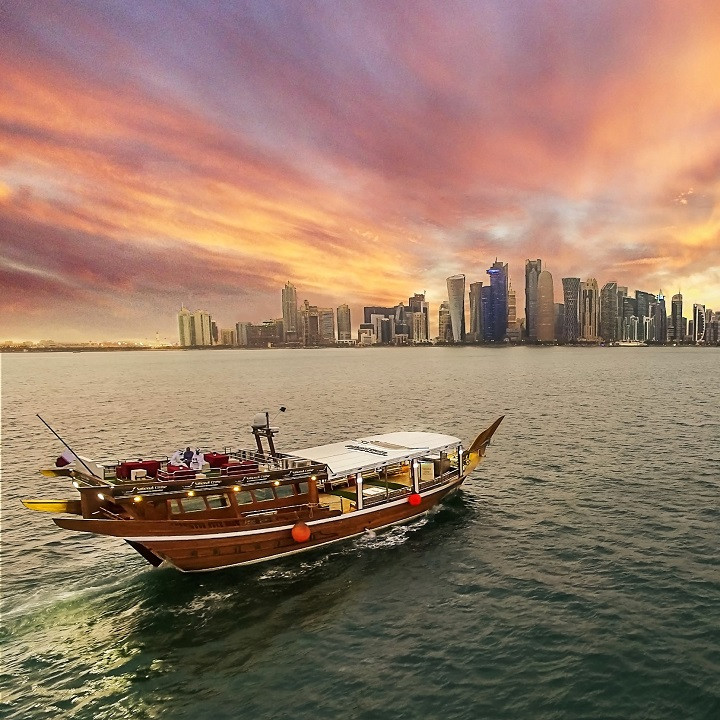 Scenic scheduled trips to and from the Corniche, beside the Museum of Islamic Art are available every weekend private dhow charters, beautiful dinner cruises and much more. 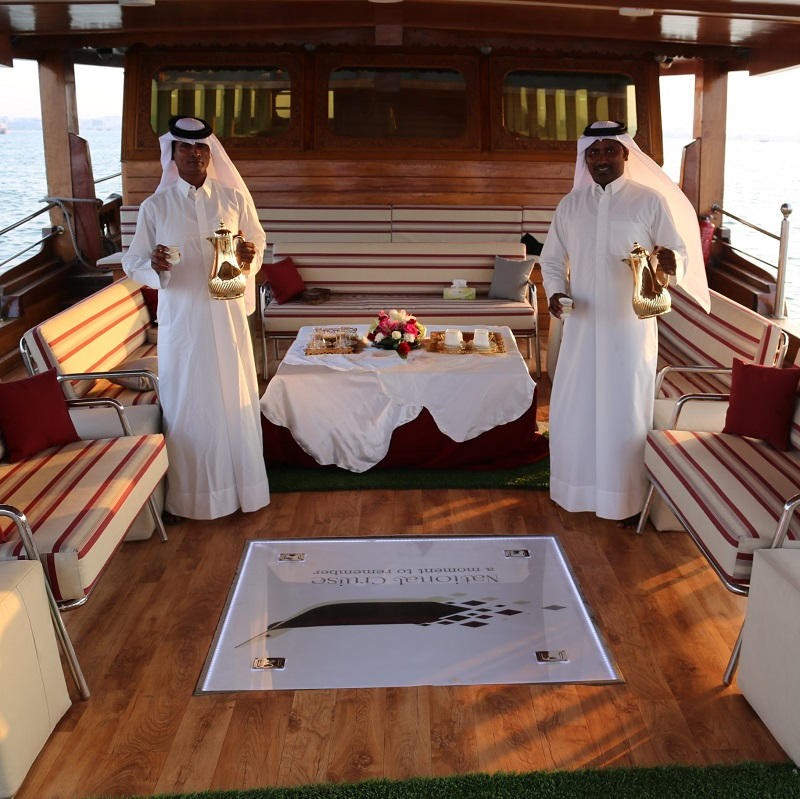 For the Qatar International Boat Show the dhows will pick up and drop off at Water Shuttle Gate 6, Porto Arabia, right next to the show. For more information call +974 4409 5279 We look forward to welcoming you aboard.